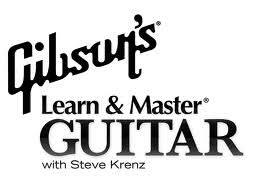 There is clearly no shortage of online guitar courses and instruction out there. These days if you want to learn to play acoustic or electric guitar you have plenty of sites to choose from. It is no surprise that the well-known Fender company has jumped in to get a piece of what is apparently big business. As far as the big picture of whether or not modern online instruction is helping guitarists, that’s not easy to tell, but Fender is at least smart enough to keep their site very affordable . In fact, before even getting into the details of the new Fender Play site, we would recommend giving it a try for most students. Between the free trial and only $9.99 monthly price , most of you reading this article will definitely get your money worth! Fender is clearly aware of all the online competition, by keeping the site simple and having low-cost membership it may give them a decent chance of competing with the myriad of other sites. Of course when trying the site out the first time have your guitar on hand, because it takes no time before you are playing something fun. The first thing we do when checking out a new site is to see what attracts our attention initially. Immediately after signing up we clicked on the songs tab to get an idea of what they have to offer. There are plenty of tunes to choose from, from old to new, popular and sometimes more obscure . I like when a site gives me songs that I may never have thought about learning like “ Moonage Daydream ” by David Bowie or “ One Nation Under a Groove ” by Parliament Funkadelic. You can spend hours just jumping all over in a variety of genres like country, funk, blues, pop, rock, and folk . Each song has a video instructor with good sound and close-ups when necessary for chords and strumming. The videos aren’t overproduced for flashiness , they get down to business, and do a great job of making it seem like the instructor is right in your home. There are a few problems with the song section. One is that they don’t always show the whole song, in some cases, they just show the main riffs . Which can be frustrating for learners who want complete instruction. (However, that may be a good thing for some guitarists as it forces the student to figure out the rest on their own. After all this is how people learned years ago before the internet). The second problem with the song section is that they show the chords to the song and strums, but not the lyrics . This may be a simple issue, but it is a big one for us. It helps to learn chord changes when you can easily see which lyric the change is made on. Fender Play also has a section on guitar skills. Chord dictionaries, basic strumming, techniques, music theory , and even a section on guitar tone (switches, pickups, and pedals). There is also a section called “ My Path ” that allows you to go through lessons in order as if you had a personal instructor guiding you. You can choose a path for r ock, blues, folk, country, or pop and specify whether you are playing an acoustic or electric guitar. It is highly worth trying all the paths regardless of your favorite to give you a better-rounded education of various genres. Fender Play also gives you links to apps for tuning and tone. If you can’t afford multiple effects pedals you can get plenty of digital effects through the Fender Tone app . The clear problem with this site is that it is for beginner and intermediate players , not advanced. If you are a long time player looking for specific instruction on becoming a guitar God, this site doesn’t have it. We would still recommend the site for guitar players that have many years of playing under their belt. Why? Because the site is great for review, maybe of old techniques you forgot, or perhaps songs you never thought to play. However, if you're looking for advanced lessons, you might want to try Jamplay . Even sitting down for an hour and just randomly trying different lessons and songs will provide great practice. The downsides of Fender Play are really taking care of by the low price. It may not be a site you subscribe to forever, but it is clearly worth a few months . Hopefully, they will get enough subscribers so they can keep adding new material as time goes on, which will make it even more worthy of keeping on a monthly basis. Another great thing about the site is that they also offer bass and ukulele instruction . These days many of us play multiple instruments, so it’s nice to be able to switch it up, after learning a great electric guitar riff you can learn some famous bass lines without paying for another site. For us, Fender Play seems most dedicated to beginner players who need structured practice and new ideas . Yes if you are a complete beginner you can start from day one and take each step at your own pace. The site however really seems to be set up for those past beginning stages yet far from the top tier of advancement. If you are buying a guitar for someone, this site is an excellent companion gift as you can spend more money on a quality guitar by saving with low $10 a month lessons. We hope Fender Play becomes and stays popular. With their brand recognition and simple approach to their site , it has the potential to grow to keep players paying that low monthly fee. Unlike other sites they don’t go to in depth and don’t have endless amounts of lessons and songs (after all TOO much instruction is more daunting than helpful). As far as other reviews of Fender Play, some folks love it, others find it too simple . However, with a free trial and $10 price it seems like a no brainer to take all reviews with a grain of salt and simply head over and give it a try. We are going back to the site now to find some more songs to learn because practice is best when you have fun!